As a business owner, you may be the first one through the doors in the morning, and the last one out each night. Simply locking up as you leave the premises doesn’t effectively secure your business, your facility, and the valuable assets inside. 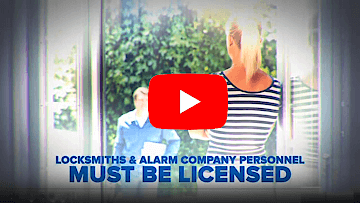 however, a complete, tailored commercial security alarm system is necessary to ensure your business is protected from a variety of threats including burglary, fire, and flooding. Nearly half of all business owners wait until they’re the victim of a break-in or other disaster to install additional security measures like an alarm system, surveillance system, or access control. This reactive approach doesn’t protect you or your business from a costly, potentially debilitating experience. Instead, contact us at Holder’s Security in Tulsa, Oklahoma to ensure that your business’s entire facility is protected from a variety of common threats. Act now, before you become a victim, in order to keep your assets and employees safe at all times. At Holder’s Security, we create effective commercial security alarm systems for retail stores, warehouses, factories, traditional offices and everything in between. Our storefront intrusion and burglary alarm systems feature wireless equipment with remote monitoring capability that’s easy to use, and not intrusive to your employees or customers. Rather than offering you a “one size fits all” commercial security package, we begin our relationship with our business security clients with an initial assessment. Following a walk-through of your business’s facilities, our experienced alarm technicians will be able to diagnose your security needs and customize an alarm system for your business that properly protects each vulnerability. Each commercial burglar alarm can also be integrated with a variety of other equipment and features in order to create a security system that protects your entire property from multiple threats, and to make your business’s security system as simple to use as possible. Many features can even be monitored and managed from any internet ready device, including your smartphone, so you can control security at your business from virtually anywhere. Our state of the art monitoring station is located right here in Tulsa, Oklahoma and enables us to offer fast, responsive service 24-hours a day. With both natural gas and diesel generator back-up, our central monitoring station is always online and ready to dispatch help when your alarm sounds. For more information on our commercial alarm systems, give us a call, or stop in and see us. In order to create a completely secure environment for your business and employees, ask us about integrating a commercial fire alarm into your business’s security system. Access control systems and video surveillance systems can also be integrated into your security system. For an assessment of your business’s security needs, contact us at Holder’s Security: (918) 663-8660.